Surveillance video captured potential persons of interest in the attack on 'Empire' actor Jussie Smollett , Chicago police said Wednesday afternoon. 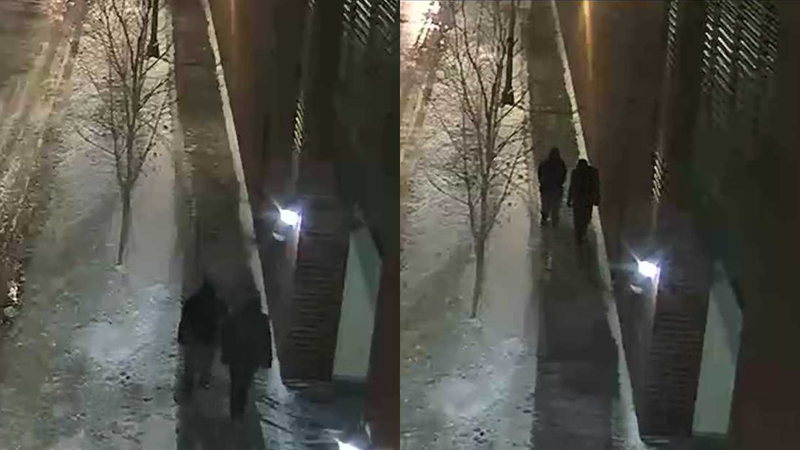 CHICAGO (WLS) -- Surveillance video captured potential persons of interest in the attack on "Empire" actor Jussie Smollett in the Streeterville neighborhood, Chicago police said Wednesday afternoon. Police are investigating the incident as a possible hate crime. A dozen detectives are working on the case and had reviewed hundreds of hours of surveillance video before finding the images of the potential persons of interest. Chicago police said they would like to bring the two people in for questioning. Jussie Smollett, an actor on the TV show "Empire," told police that two people yelling racial and homophobic slurs attacked him in Chicago's Streeterville neighborhood. "Obviously the alleged statement of what happened here is horrific and there's no place for it in the city of Chicago," Mayor Rahm Emanuel said during a Wednesday evening press briefing about the city's response to historic cold. Chicago police confirmed they have spoken to Moore and his account is noted in the police report. Police said Moore and Smollett both said they were on the phone with each other at the time of the attack. Police said they have not yet seen phone records to confirm their accounts. CPD said a dozen detectives are pursuing new leads, including the grainy photos. Police said they have tracked Smollett's movements that night. They confirmed video shows Smollett walking across the street from the two possible persons of interest. Police said in the video he walks out of frame for about a minute and reappears on another camera "wearing a rope like a neck tie." Police said there is no video of an assault. Investigators said he walked into an apartment building, passing security and boarding an elevator. He would then enter an apartment and that's where police were eventually called. Smollet told police the attackers struck him in the face with their hands and poured a chemical on him. He told police one of the individuals wrapped a rope around his neck during the attack before they both ran away. When Smollett contacted police at about 2:42 a.m. he was still wearing the rope around his neck, Guglielmi said. Chicago police plan to analyze the rope as part of their investigation. The chemical substance is believed to be bleach, but police had not independently tested his sweatshirt as of Tuesday afternoon. Authorities are looking for any evidence or video from the area between 1 a.m. and 3 a.m., as well as anyone who was near there at the time of the attack. Smollett was able to make it to Northwestern Memorial Hospital. Prior to the attack on Jan. 22, Smollett had received a letter threat sent to the FOX studio in Chicago which had threatening language and was laced with powdery substance, likely Tylenol. The FBI is investigating that threat. The actor confirmed to CNN's Don Lemon over the phone that the attack took place. Smollett said he fought back, and is shaken and angry that something like this could happen. "We are deeply saddened and outraged to learn that a member of our EMPIRE family, Jussie Smollett, was viciously attacked last night. We send our love to Jussie, who is resilient and strong, and we will work with law enforcement to bring these perpetrators to justice. The entire studio, network and production stands united in the face of any despicable act of violence and hate - and especially against one of our own." Anyone who has information pertinent to the investigation should call Area Central at 312-747-8382. Tips can be submitted anonymously at www.cpdtip.com. A $2,000 reward is being offered for information that leads to the conviction of the attackers, said community activist Andrew Holmes. He said that information can be confidentially passed along by calling 800-883-5587.